CHI for Dogs provides luxurious and pH balanced formulas designed for optimal care for your dog’s coat and skin. Developed with the same superior technologies as in our professional salon CHI human lines, the formulations are gentle yet effective. 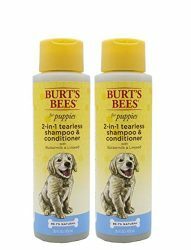 They provide moisturizing and balancing ingredients that penetrate the coat’s cuticle, strengthening the follicles of the fur as they nourish it from the inside out. 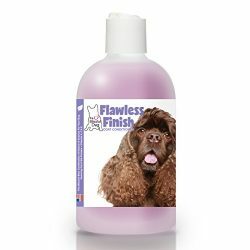 CHI for Dogs imparts a superior shine and provides the necessary moisture for a softer, healthier looking dog. 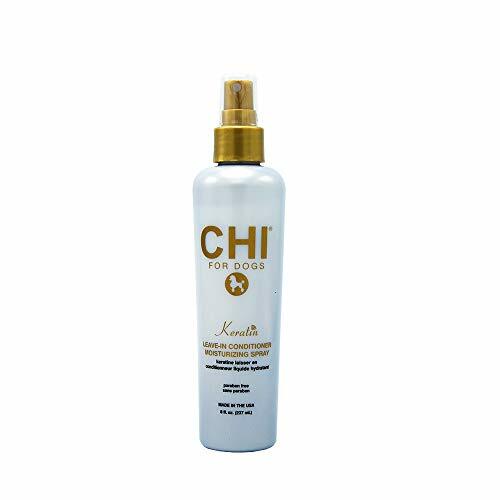 chi for dogs keratin leave-in conditioner moisturizing spray is a unique reconstructing treatment Designed to rebuild hair’s cuticle. directions: spray dog from back of ears to tail, carefully avoiding eyes. Massage into coat. Repeat as necessary. Can be used on wet or dry fur. For external use only. 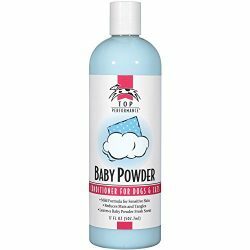 Safe for dogs 8 weeks of age or older. Keep out of reach of children or pets.